Are you having some old things in your attic or basement? Well, just because they are not looking smart enough anymore doesn’t mean that you have to dispose of them. Remember, you’ve not had the heart to part with them once upon a time, don’t do that even now. One of the smartest tricks to recycle such unnecessary things could be using them in your kid’s projects. It will not only boost up your little one’s imagination but also let you save some of your huge bucks. If such waste stuff can become the basic materials for your darling’s project, you don’t have to buy some extra of course. Finally, it will, in turn, save a lot of your hard-earned dollars. However, if you end up buying a few things, you can still grab a lucrative saving. You can find different kinds of craft supplies at an affordable rate. All that you have to do is just find a right deal from the thrilling coupon sites. Save some money while you shop. It is one of the spectacular waste material that is serving as kids crafts which can let your kids become extremely creative. 50 to 70 bottle caps approximately, a central showpiece, a tool for making piercing, drilling tools, and power. Firstly, you need to make holes on both the sides of the bottle caps. Cut the wires measuring 21/2 inches long. Now, you can string the wire through one among the two holes of the bottle cap. After that wrap the wire around and secure the using pliers. 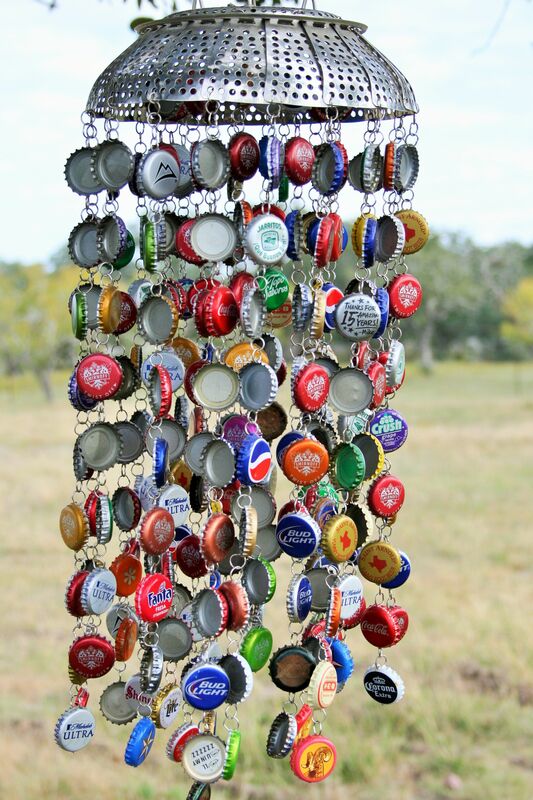 Next, you just have to hook one bottle cap to another. Wrap them and finally secure them with a plier. You should continue attaching the links until you reach up to your desired length. You must know that only 6 to 7 caps in one chain are fine. Then, what you need to do is just attach the chains to the centerpiece. Finally, you need to make a weave with the fishing wire and finally tie up at the end. Now, you can just use the wire to hang the chime. That’s it, done! It is one of the most fun crafts for kids that you can make out of the waste materials with your little one. Art supplies for the next craft are very easily accessible. In fact, most of us have them in our home as waste materials. Let’s see what is it? Let your kid fill his/her aquarium with some glittery and attractive fishes. It will certainly let your darlings cheer with joy! A CD, glitter, yellow card paper, adhesive, scissors, Googly eyes, and scotch tape. You can apply the adhesive all over the CD. Make sure that the middle porting is totally empty. 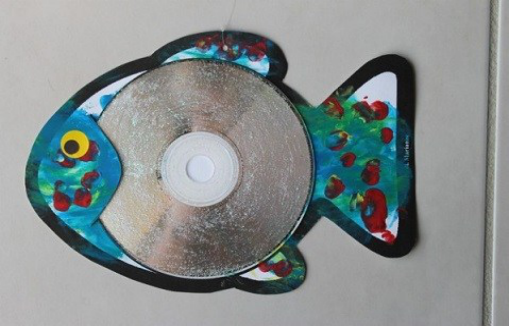 Now, you can simply sprinkle the glitter over the CD and leave it to dry. Finally, attach the googly eye in one of the faces of the fish. That’s it, an amazing fun fish for your little monster is ready! The last craft is a yet another exciting one! 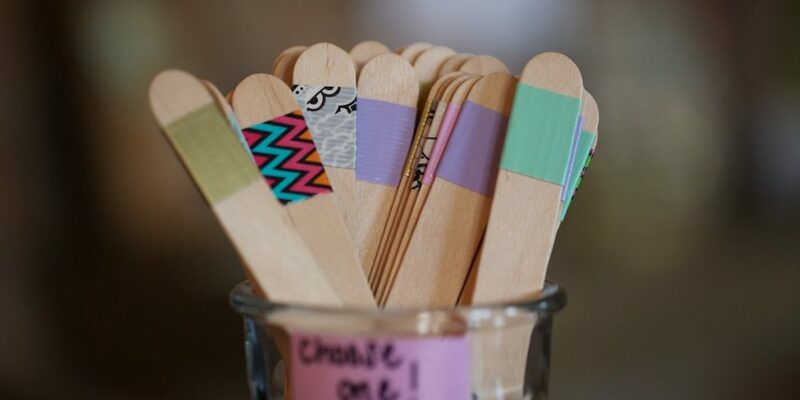 You will need just 4 ice cream sticks, 1 wooden clothespin, paint, glue, small beads, and a cutter. After your darling is done with eating ice creams, wash the sticks and dry them off. Now, you can paint the sticks and the clothespin in whichever colour you want. Let them dry for some time. Now, you need to cut each ice cream stick into three pieces. Join the two pieces together into a straight line with some glue. Here’s the propeller of the plane is ready. Next, cut a tiny piece out of the whole eraser and paint it off. You can now leave it for some time to dry. Join the two ice cream sticks to the clothespin while keeping them perpendicular and equidistant from each other. Repeat the same process with the two more ice cream sticks while flipping them to the other side of the clip. Now, it’s time to paste the eraser or bead to the ice cream stick. The propeller is done now! 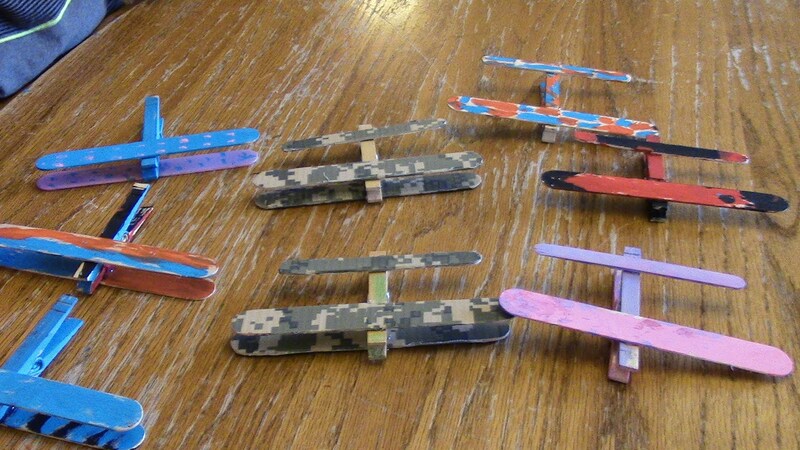 In the end, you just have to glue the propeller on the front end of the clothespin. So, never again throw away the materials that you don’t need anymore. Rather, just follow these tricks which are mentioned above and thus you will be able to make the best out of it for your kids. It’s a great idea for using the Waste Material for kids crafts and I really appreciated.